The History of Cinco de Mayo/ What is means to Black America? The HIstory: During the French-Mexican War (1861-1867), an outnumbered Mexican army defeats a powerful invading French force at the small town of Puebla de Los Angeles. The retreat of the French troops at the Battle of Puebla represented a great moral victory for the people of Mexico, symbolizing the country’s ability to defend its sovereignty against a powerful foreign nation. Benito Juarez and Napoleon III- In 1861, Benito Juarez became president of Mexico, a country in financial ruin, and he was forced to default on his debts to European governments. In response, France, Britain, and Spain sent naval forces to Veracruz to demand reimbursement. Britain and Spain negotiated with Mexico and withdrew, but France, ruled by Napoleon III, decided to use the opportunity to carve a dependent empire out of Mexican territory. Late in 1861, a well-armed French fleet stormed Veracruz, landing a large French force and driving President Juarez and his government into retreat. Certain that French victory would come swiftly in Mexico, 6,000 French troops under General Charles de Lorencez set out in May, 1862, to attack Puebla de Los Angeles. From his new headquarters in the north, Juarez rounded up a ragtag force of loyal men and sent them to Puebla. Zaragoza Defeats French Invaders- Led by General Ignacio Zaragoza, the 2,000 Mexicans fortified the town and prepared for the assault by the well-equipped French force. On the fifth of May, or Cinco de Mayo, Lorencez gathered his army and began an attack from the north side of Puebla. The battle lasted from daybreak to early evening. After Lorencez realized his superior French force had lost nearly 500 soldiers, while fewer than 100 Mexican troops had been killed, he completely withdrew his defeated army. Battle of Puebla and Cinco de May- Though not a major strategic victory in the overall war against the French, Zaragoza’s victory at Puebla galvanized Mexican resistance, and six years later France withdrew. Later that same year, Austrian Archduke Ferdinand Maximilian, who had been installed as emperor of Mexico by Napoleon in 1864, was captured and executed by a firing squad. Puebla de Los Angeles, the site of Zaragoza’s historic victory, was renamed Puebla de Zaragoza in honor of the general. Today, Mexicans (and Mexican Americans) celebrate the anniversary of the Battle of Puebla as Cinco de Mayo, a holiday in the state of Puebla. Despite its popularity here in the U.S., Cinco de Mayo isn’t Mexican Independence Day (that’s September 16). Instead, the date marks Mexico’s victory over the French during the of the Battle of Puebla in 1862. Unfortunately, many (including tons of Black folks) have reduced Cinco de Mayo to drinking tequila, attending a “fiesta,” or mimicking Mexican culture, but few of us know about the influences of African culture on our neighbors to the South. In honor of Cinco de Mayo, here are 5 things you may not have known about Afro-Mexican history. When it comes to slavery, many folks mistakenly believe the U.S. was the epicenter of the transatlantic slave trade. While the bulk of enslaved Africans ended up in South America and the Caribbean (more than 4 million were transported to Brazil alone), around 200,000 enslaved Africans were imported into what is now Mexico between the 1520s and 1829, when the horrific practice was ultimately abolished in the nation. 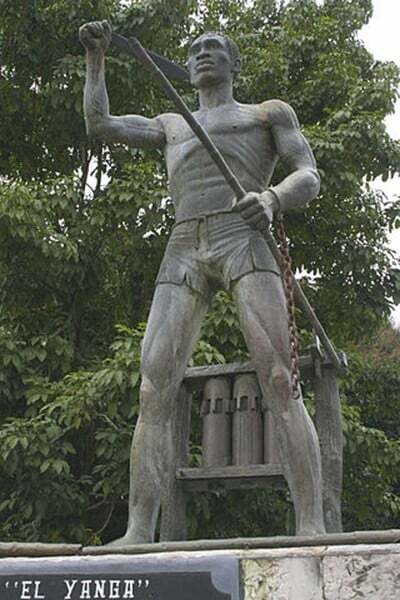 Known simply as el Yanga, Gaspar Yanga was a former enslaved African who became “El Primer Libertador de las Américas,” (the first liberator of the Americas). Yanga was brought to the former Spanish colony in the 1500s and worked on a sugar plantation in Veracruz, Mexico. In 1570 he escaped and fled into the mountains, establishing a colony for other fugative slaves. After leading a series of raids against the Spanish, Yanga came to an agreement with the government that allowed him to establish a self-governing territory called San Lorenzo de los Negros. In 1932, the town was renamed Yanga in his honor. 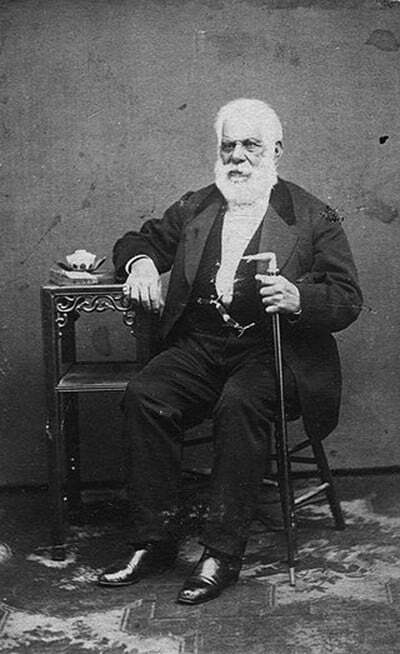 Pio Pico, the last Mexican governor of Alta California (now the state of California) had African, Native American, and Spanish Ancestry. A rancher, real estate baron, and politicians, Pico was one of Mexico’s, and later California’s, richest men. In 2015, for the first time ever, Mexico allowed its citizens to identify as an “Afro-Mexican” or “Afro-descendant” on its census. The result? More than 1.4 million people–around 1.2 percent of the population–said they had African ancestry. Today, the majority of Afro-Mexicans reside the states of Guerrero, Oaxaca, and Veracruz–all places that were popular among escaped enslaved Africans. Like their neighbors to the north, Mexicans of African descent still face a myriad of challenges, including poverty, profiling, and health disparities. Until recently, Mexico was just one of two Latin American nations that didn’t recognize it’s Black population, which lead to many Afro-Mexicans struggling to gain visibility and acceptance. Want to learn more about Mexico’s Black history? Check out Dr. Henry Louis Gates’ Black in Latin America.